The sleek shape and delicate form is expertly crafted from strong plywood. Hand-painted with a distressed metallic finish, the Bentley Side Table by Robert Langford will fit seamlessly into any interior scheme whether a chic city apartment or a country estate. Display books, flowers and decorative objects on the beautiful, antique glass table top. 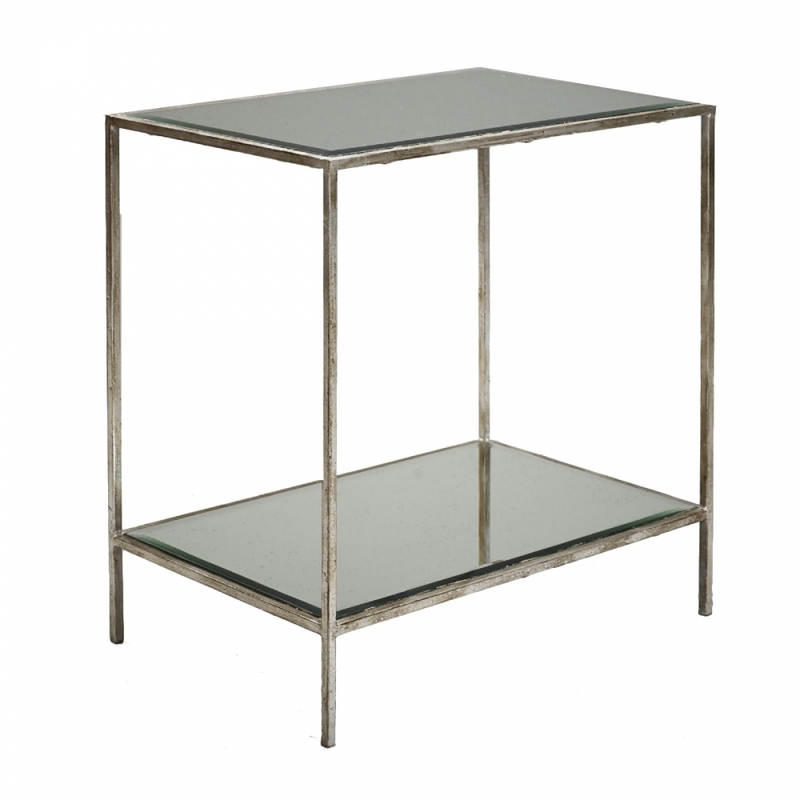 Art Deco in feel, the modern and minimalistic side table will add a touch of luxury to a bedroom or living space. Use as a bedside table for a luxe look that provides plenty of storage space for your belongings.